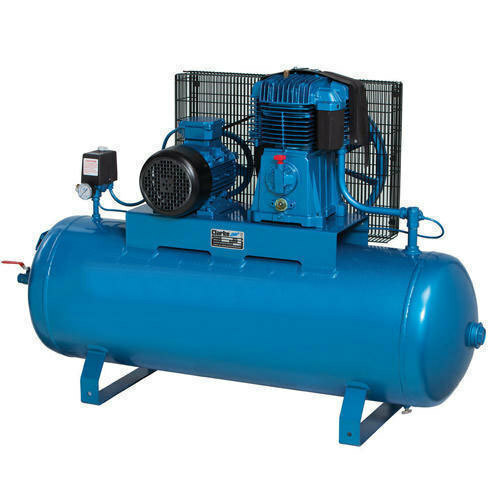 By keeping track of current market development, we are into offering an excellent range of Industrial Air Compressor. Established in the year 1988 at Tiruchirappalli, Tamil Nadu, We “Mumbai, Maharashtra” are sole proprietorship based company, involved as the Manufacturer, Trader and Wholesaler of Milling Machine, Air Compressor, Drilling Machine, Industrial Chain Hoist and many more. Our organization is supported with a state-of-the-art infrastructure facility, which is spread across a wide area. Our organization is supported by a team of expert professionals who are highly qualified and experienced. They use best quality materials for manufacturing our range.